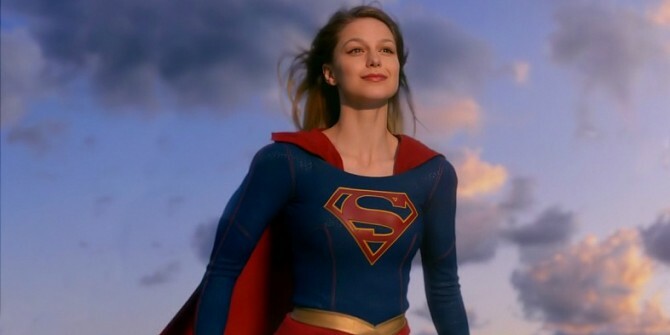 Fellow DC adaptations Arrow and The Flash may have enjoyed crossover events in the past, but during the Television Critics Association earlier today, CBS Entertainment Chairman Nina Tassler revealed that the network currently has no plans to implement a similar strategy with Ali Adler’s Supergirl series. In an effort to respect the origins of one Kara Zor-El, Tassler revealed her apprehensions about a potential crossover and how it can read as disingenuous if it doesn’t harmonize with the remainder of the universe. As such, don’t hold your breath for Melissa Benoist’s titular heroine to swoop into action on either Arrow or The Flash anytime soon. That’s not to say that a crossover event has been completely ruled out, but at least for the foreseeable future, CBS wants to nurture Supergirl into a series of its own replete with a rounded personality before introducing extraneous characters. Because in truth, the show won’t be lacking in distinctive personalities. Now that Jenna Dewan-Tatum has been cast as Lois Lane’s younger sister, Lucy, series producer Andrew Kreisberg hinted that CBS’ upcoming series will even have ties to Superman II. In the first 9 episodes, Lucy Lane, also her father general Sam Lane, will be coming to town with an agenda. We’re also going to have The Red Tornado. We’re also going to be introducing Non, a Kryptonian villain memorably played in Superman II. We have a slightly different take on the character. Melissa Benoist will take to the skies when CBS’ Supergirl premieres on Monday, Oct. 26 at 8:30 p.m. ET.